The left has been screaming incoherently for the last month about (gasp) separating children from the adults who attempt to sneak into our country illegally to climb on the gravy train. Keep in mind, they couldn’t care less about these children. Never did. It’s just a convenient excuse to hammer the president as an issue for the midterms because they have nothing to offer except hate. But that issue is about to go on the back burner. Trump, ever the showman with a flair for the dramatic, will announce his pick to replace Kennedy on Monday evening. The left has their next round of attacks pre-prepared. 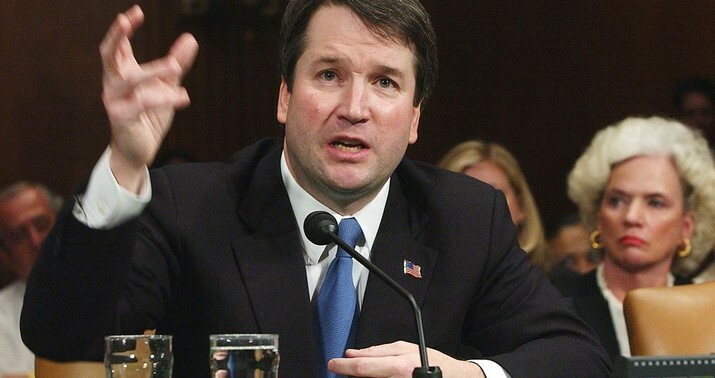 It’s down to about four and it appears to be down to Kethledge and Kavanaugh. Kethledge has been endorsed by Ted Cruz and is said to be soft on immigration. The chief selling point for Kavanaugh is that, of the three finalists, he’s the most known quantity. Washington conservatives know him and prefer him. He won’t be a Souter. The worst-case scenario for him, realistically, is that he ends up in sync with John Roberts although I think he’d be considerably to the right of that. Personally, I’d like to see him pick Amy Coney Barrett. Let’s see how dirty the democrats want to get with a woman with 7 kids. Amy Coney Barrett immediately attracted the most flak from the left. Michael Brendan Dougherty writing at National Review basically said the same thing. Expect hysterics from liberals. So-called McConnell Rule: “during a PRESIDENTIAL election year.” I.e., when voters are deciding on the next person who will nominate for the SCOTUS vacancy. The current election cycle will have no impact on that. Trump will still be president in January. Glad you put that in there, chrissy – saved me the typing. They just lie, I figger. I’m thinking there’s a spectrum, with the nice Democrats who believe the Big Lies on one end and the George Soros types who invent the Big Lies on the other. Ultimately, the Democrats’ “arguments” against the fitness of Trump nominees has nothing at all to do with the individuals involved and everything to do with Trump Derangement Syndrome. “Cloture” is one way the senate can waste congressional time to delay seating a president’s nominee. For all of the court nominees of all the previous four presidents, the Senate use cloture a total of only 32 times COMBINED. As of this week, less than two years into Trump’s first term, senate obstructionists have used cloture to delay 101 of Trump’s court nominees.